Preheat the oven to 400F (200C) Combine all the ingredients in a large bowl. Mix together. 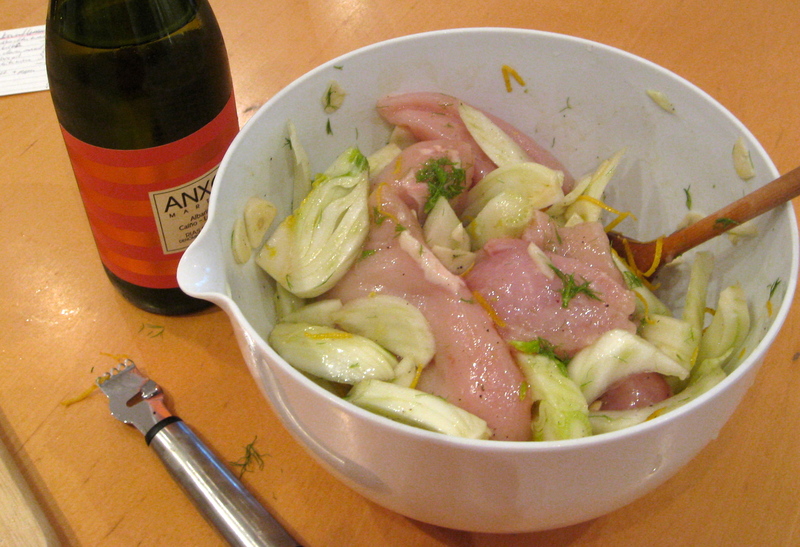 Spread in a baking dish with the chicken gathered in the middle. Roast in the oven for 30-40 minutes, then rest for 5-10 minutes before serving. This entry was posted in celebrations/holidays, food, health, pictures, recipes on 25.02.2013 by taplatt.